I agree that most vultures are just scavangers and have to wait for carcases to be partially rotted or for a lappet faced vulture or other animals to arrive before they are able to feed on a carcase. The most common vultures in Africa are the white backed vultures, ruppells griffons, and cape griffons. White headed vultures and lappet faced vultures are more solitary in nature and harder to find. After tearing open the tough hide and feeding, the lappet faced vulture as well as the white headed vulture prefers sitting in the outskirts of the group - a hungry lappet faced vulture is more aggressive than a full vulture. (03-27-2019, 09:12 AM)Old Tibetan Blue Bear Wrote: I agree that most vultures are just scavangers and have to wait for carcases to be partially rotted or for a lappet faced vulture or other animals to arrive before they are able to feed on a carcase. The most common vultures in Africa are the white backed vultures, ruppells griffons, and cape griffons. White headed vultures and lappet faced vultures are more solitary in nature and harder to find. After tearing open the tough hide and feeding, the lappet faced vulture as well as the white headed vulture prefers sitting in the outskirts of the group - a hungry lappet faced vulture is more aggressive than a full vulture. Scavenger doesn't represent its weakness specially LFV shows the dominations more then any others vultures in their captivity. 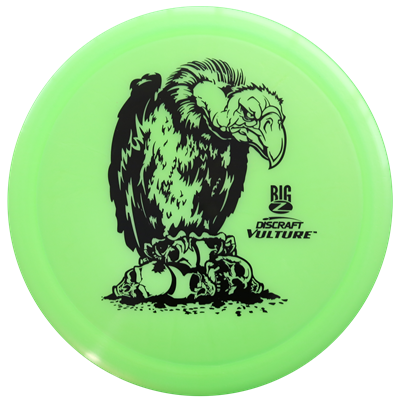 this is the only photo I found of the vulture and the eagle face to face. First, a vulture, nonchalantly sidled over to the carcass, trying to look casual. Suddenly, it grabbed it in its beak, and tried to take off with it. Unfortunately, it was too heavy. The vulture walked about 20 metres along the ground while trying to lift off. It had to drop the carcass and re-evaluate the plan. In the meantime, the Martial Eagle swooped down to defend its kill, which resulted in a scuffle and both birds flying off temporarily . it seems that it resulted in a tie. The lappet faced vulture carries off food with its beak even though it grabs with its feet and kills with its beak. That was impressive on the eagles part but I also doubt the vulture was at its hungriest as all other accounts show the lappet faced vulture robbing a martial eagle. Great account by the way, Shenzi. On further analysis, the eagle dropped the dead aardwolf cub when the jackals moved in, the lappet faced vulture moved in casually even though the jackals were circling. The eagle did an impressive act by coming back to defend its kill but the jackals got the kill (after the birds flew off temporarily) only to be robbed by a hyena. I beleive if the jackal moved off permenantly, the lpv would have got the food. (04-16-2019, 11:26 AM)OldGreenVulture Wrote: The lappet faced vulture carries off food with its beak even though it grabs with its feet and kills with its beak. That was impressive on the eagles part but I also doubt the vulture was at its hungriest as all other accounts show the lappet faced vulture robbing a martial eagle. Great account by the way, Shenzi. Nice.. LPV is boss here.. The martial eagle will beat any vulture in africa except the lpv. (04-17-2019, 12:41 PM)OldGreenVulture Wrote: The martial eagle will beat any vulture in africa except the lpv. agreed LPV far aggressive, dominant and fearless then any other vulture.